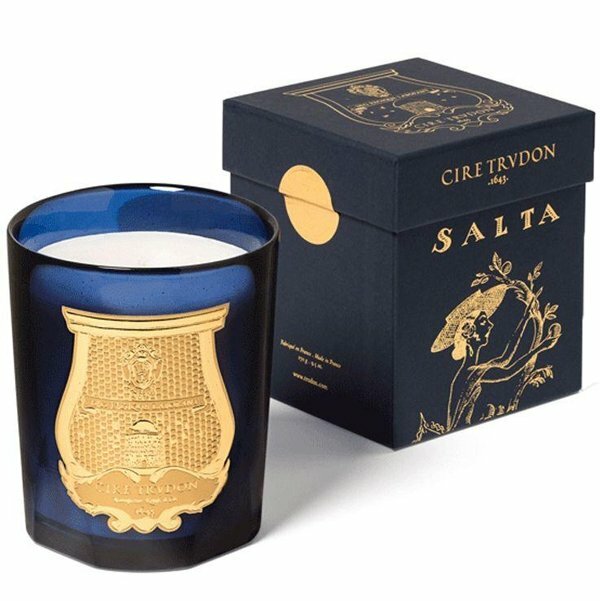 Cire Trudon Salta Candle: Considered by the Chinese as one of the three holy fruits with peach and lemon, the grapefruit was a symbol of prosperity and fertility. Also highly prized by the Greeks and the Romans, the hesperide has a crisp freshness: known for its rich terroir and unique soil, the Salta region enhances the citrus’ intensity. Blended with verbena and hyacinth, the grapefruit fragrance is aromatic. Head: Verbena. Heart: Grapefruit. Base: Hyacinth. ‘Les Belles Matières’ by Cire Trudon: pure and essential in their form, a trio of unique candles unfolds. Composed as a vegetal triptych, their fine perfumes naturally orchestrate fruity, woody and floral fragrances: Reggio comes infused with mandarin from Calabria; Tadine flirts with sandalwood from New-Caledonia while Maduraï blooms with Indian jasmine. A geographic odyssey, the collection travels back to the origins of rare perfumes: it delves into the rich hours of botanical discoveries and reveals the genesis of grand olfactory adventures. Like a calling for faraway lands, a sense of absolute runs through ‘Les Belles Matières’. Gatekeeper of these secret explorations, the night blue tinted glass wraps around the inspired essences. The three absolute scents speak up, in a contemporary manner; ‘Les Belles Matières’, let materials be.